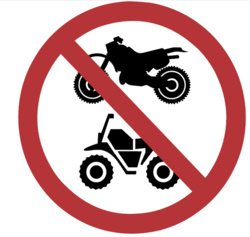 Off Road Vehicles or any unauthorized vehicles are prohibited in the Open Space? Penalties can be up to $500. Keep the trails and open space safe for all legal users. Obey the Rules!